B.C.U.P.S. 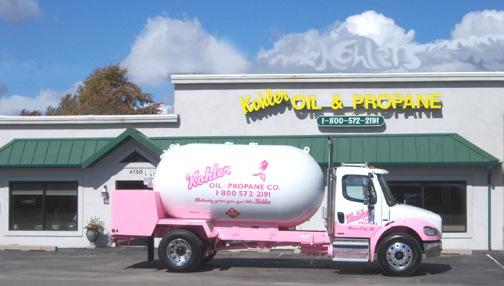 – Kohler's Propane Co. 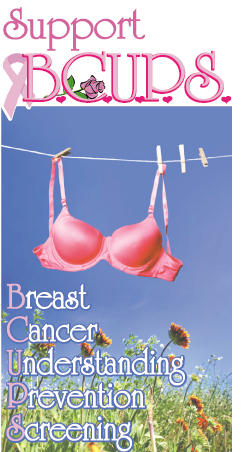 The Breast Cancer Understanding Prevention and Screening (B.C.U.P.S.) program is in place to financially assist patients in acquiring important screening mammograms and diagnostic testing services. The proceeds from BCUPS will support the Be A Star fund of Marlette Regional Hospital (MRH) for more information please contact Marlette Regional Hospital at (989) 635-4011 or (989) 635-4045. Each gallon of Kohler propane gas delivered to commercial, agricultural and residential customers supports Marlette Regional Hospital’s Be A Star fund. This fund is used to prevent breast cancer by providing education and screening to those who qualify. Kohler Oil and Propane is partnering with Marlette Regional Hospital (MRH) by providing a portion of proceeds of propane gas sales to the MRH Be A Star fund. It is our desire that NO ONE be without resources to fight breast cancer. Identify those that may benefit from this program, to ensure breast cancer understanding, prevention and screening to those who qualify in the community. Financial Support Community leaders, area businesses, clubs and civic groups are invited to donate funds to help achieve our goal. Hundreds of thousands of women and men will be diagnosed with breast cancer in the United States this year. Early detection and education can make a huge impact on survival and the devastation caused by this disease. The Center for Disease Control (CDC) recently reported a drop in the percentage of women 40 and older getting mammograms to screen for breast cancer. “Insurance issues” is sited as one of the factors for the decrease. Kohler Oil & Propane Company is taking steps to assist those who are uninsured or under-insured through the B.C.U.P.S. program.